Collaborative care requires a team of professionals with complementary skills who work together to care for a population of patients with common mental conditions such as depression or anxiety. It involves a shift in how medicine is practiced, the creation of entirely new workflows, and frequently the addition of new team members. In usual care, the depression treatment team has two members: the primary care provider and the patient. Collaborative care adds two more vital roles: the care manager and the psychiatric consultant. Its success relies to a great extent on each member of the treatment team understanding his/her role and believing he/she has the knowledge and skills necessary to fulfill that role. Please remember that the principles and core components of collaborative care, not just team members, must be in place in order to practice this model. 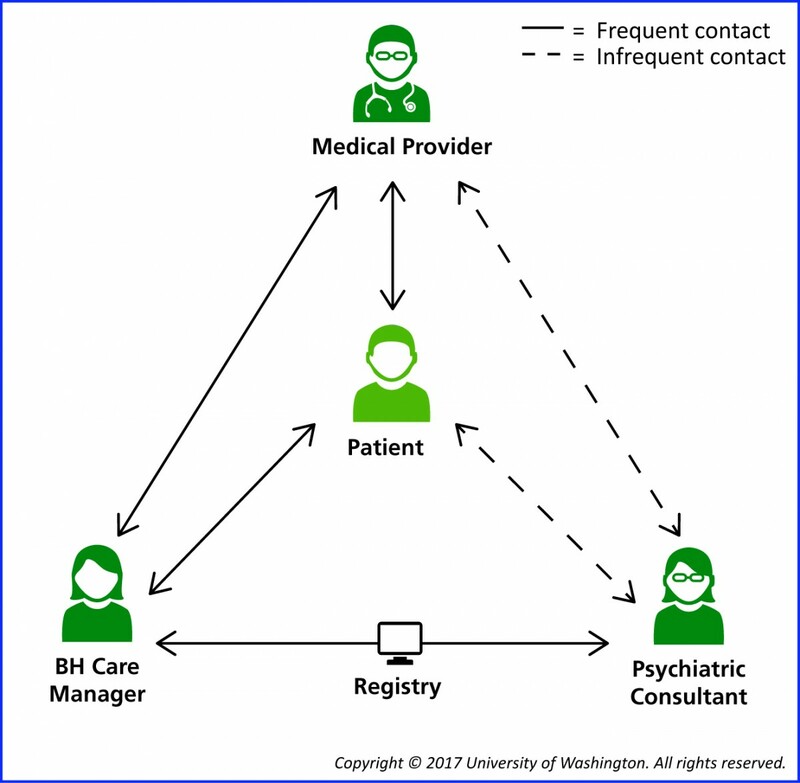 Primary care is the de facto treatment location for most patients with common mental health conditions like depression and anxiety, with 70% of all antidepressant prescriptions in the United States written by a primary care provider.